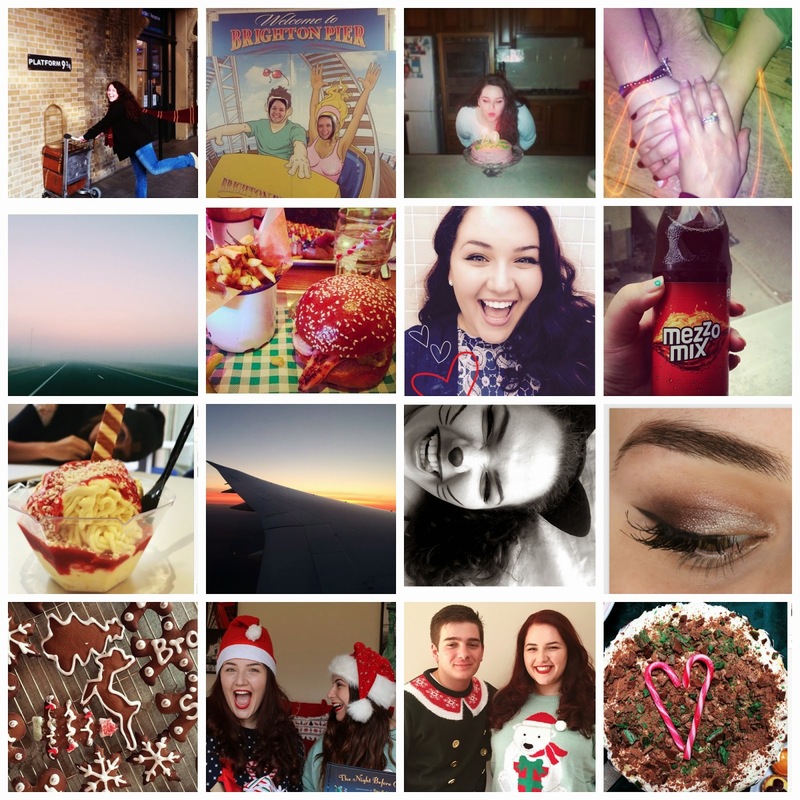 As 2015 is around the corner I thought what better way to celebrate this past year than with a 2014 Roundup of my favourite Instagram photos and blog posts?! 4th Row, (L-R): My first go at Gingerbread-Christmas smells all around! One of my first Christmas videos, Christmas jumper feels, Peppermint crisp love. Top Blog Posts of 2014! A really surprising post coming in at number one, I didn't expect Nail Art to be a very popular post at all! This can only mean one thing- look out for more DIYs like this next year! 3. German Food Tastings + Travel Update! I devote a good chunk of my time to reading travel blogs and watching daily vlogs on YouTube, so I guess it comes as no surprise that other people like doing the same. Hehe, we're so nosey! I'm actually so happy this made the list too, I hope to continue my #GetTheLook series all throughout next year. If you have suggestions, please let me know! Seasonal, but very practical- everyone loves a movie guide! I also want to thank YOU for reading, interacting and inspiring me to keep writing this blog and always strive to create better content for everyone. Hopefully 2015 will hold exciting things in store for all. Let me know in the comments down below, see you next year! Yes, I love the idea- it's just too cute! Thanks Gabrielle, looking forward to a beautiful blogging friendship this year! Hope you had a safe New Year. Thanks so much! I'll be definitely looking to expand my 'How To' series this year so keep an eye out!